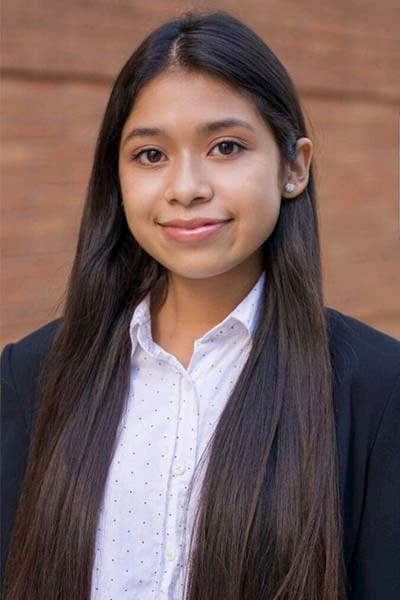 Jasmine Garcia ’21 (marketing), a member of the Business Honors Program and Women’s Leadership Program at Cal State Fullerton’s Mihaylo College of Business and Economics, will study abroad in London for four weeks this summer thanks to a highly competitive scholarship. The first-generation student’s travels will be possible through the 2019 Frederick Douglass Global Fellows scholarship, bestowed on only 10 students globally. Garcia is the first Cal State Fullerton student to receive this recognition, which seeks to make international study experiences possible for students from underprivileged demographics. Garcia, who is also a President’s Scholar at Cal State Fullerton, will focus on intercultural communication and leadership during her fully-funded studies in the British capital. Discover more about Garcia’s opportunity in this CSUF News article.